Bottled conditioned ale. 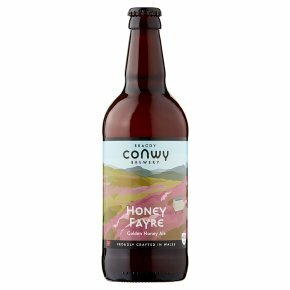 Suitable for vegetarians.The Taste: Honey aromas, soft bitterness & clean tasting finish. The Occasion: Ideal for drinking with a barbecue in the garden, whatever the weather! With Food: Anything with Honey. Fish & seafood.